Yesterday, when everybody was waiting for the epic launching event of Samsung’s new flagship Galaxy S4; the Indian mobile company ‘Xolo’ had its own plan of revealing “Mission X” in Goa, India. 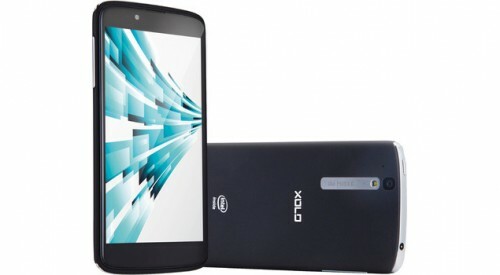 The company has launched its third Intel powered smartphone named as Xolo X1000, stuffed with an Intel Atom Z2480 processor clocked @2GHz and a 400 MHz PowerVR SGX540 GPU. 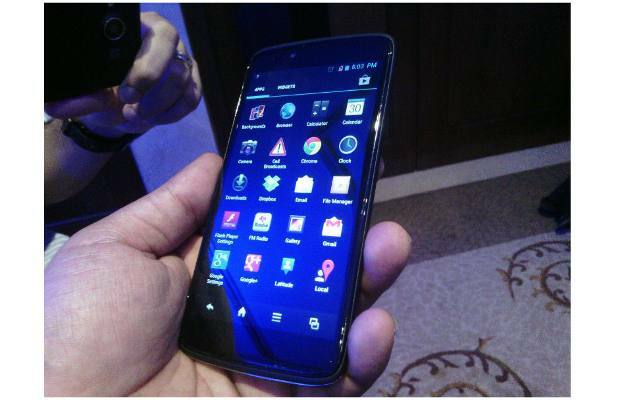 Xolo is claiming the new X1000 is the fastest Android based smartphone available in the market till date. As we were expecting X1000 to come out with the new Intel Atom Clover Trail+ processor showcased in the MWC, Barcelona last February; surprisingly Xolo decided to stick with the old Atom processor which is also present in the Motorola Razr i handset. 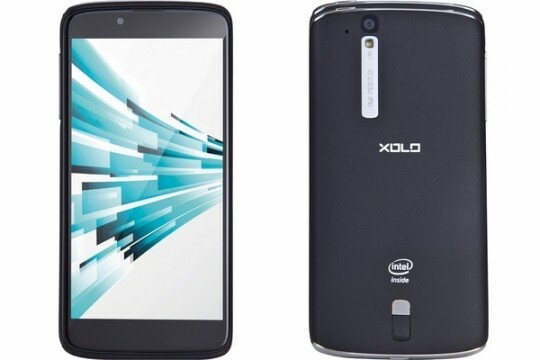 Xolo has already in its line-up the X900 that was launched last year in May packed with Intel Medfield Z2460 processor and another budget smartphone model number X500 powered with Intel’s 1.2GHz Atom Lexington Z2420 processor launched earlier this year. Leaving all these processor specifications apart, the company has put a lot of effort in designing X1000 with an attractive unibody look which means the front panel’s display resides inside of the extending back panel. 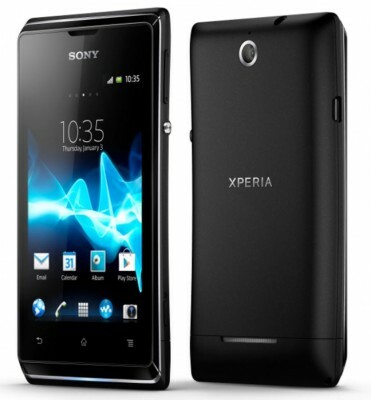 A metalic steel colored thin bezel is given around the side panel to offer a premium look. On the right side panel there is the volume rocker and the left hand side panel has nothing. 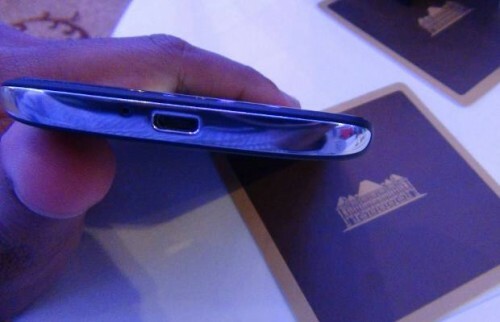 The microUSB port is on the bottom and the power button along with a 3.5mm audio jack can be found on the top of the panel. 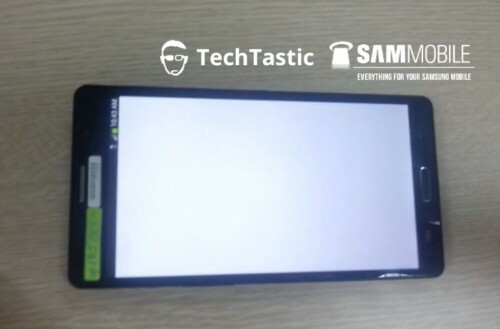 On the front above the display there are ear speaker, a 1.3 Megapixel front camera and sensors. 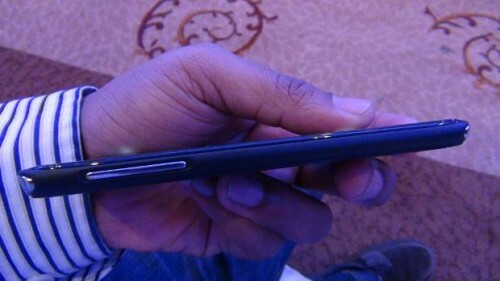 The ‘rubberized’ back panel houses the 8 Megapixel auto-focus camera with a thin metal plate added to give it a premium look just like Nokia’s Lumia series and a LED flash resides in the plate. At the middle of the back panel there is a big company logo and at the bottom an Intel logo can be seen along with an external speaker under it. Under the non-removable back panel there is a small button under the external speaker grill, if you push that downwards the bottom panel will pop out and there are standard SIM card tray and external microSD card tray. The X1000 comes with an edge-to-edge glass covered 4.7 inch curved, 1280 x 720 resolution (~314 ppi), capacitive, full touchscreen, “sharp” TFT LCD display. The qualities of images are good with vivid, crisp color thanks to Xolo’s new “sharp” LCD display technology. The display is very reflective for glossy glass surface and we are doubtful it could give trouble at the time of viewing under direct sunlight or bright lights. 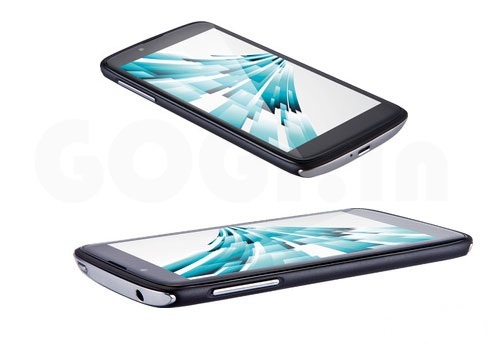 The viewing angles are great and you can have almost 180 degree viewing angle which is outstanding. There is no Gorilla glass or such kind of display protection but the company representative assured us that X1000 does have some kind of scratch resistant capability. This total unit is also very light – weighs 140gm with a full measurement of 133.9 x 67.6 x 9.1 mm. 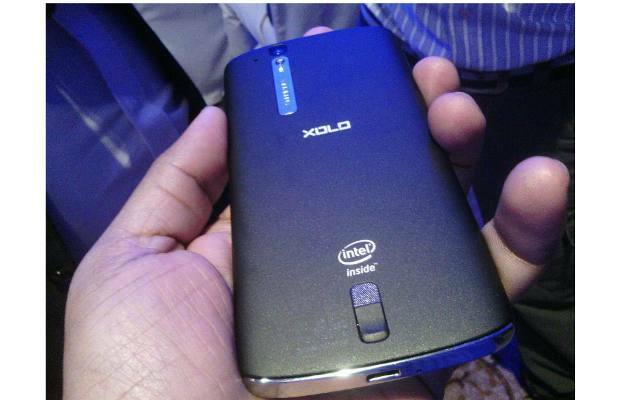 Xolo X1000 fits comfortably in palm and gives good feeling for its rubberized back panel. 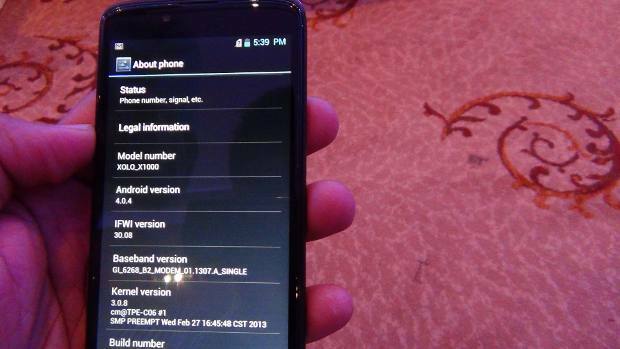 According to us, the worst part is the Android Operating System version 4.0.4 (Ice Cream Sandwich) which comes with X1000 as these days companies are bringing up their new devices with the Android v4.1 Jelly Bean. We can’t understand how much the old Android O.S can optimize the 2GHz Intel Atom processor and able to boost the performance as the company is claiming X1000 as the fastest smartphone ever. 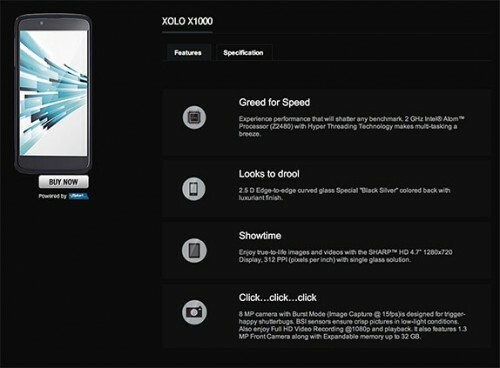 But we are promised by the company representatives that Xolo X1000 will get the official Android v4.1 Jelly Bean update soon in the future. X1000 has 1GB of RAM, a decent 8GB of Internal Memory out of that we’ve seen approximately 5GB is available for the users and you can expand the memory up to 32GB with an external microSD card. But our mission was to check the claim to beat all smartphones in terms of CPU speed, so we investigated the speed of the 2GHz on board Intel Atom CPU with “Hyper Threading” technology and found the claiming was not a hoax by playing Temple Run 2. The game took some time to load but played beautifully with great touch response without any lag. But in short period of time at the event, it was impossible for anyone to judge any device or check all of its features and performance. 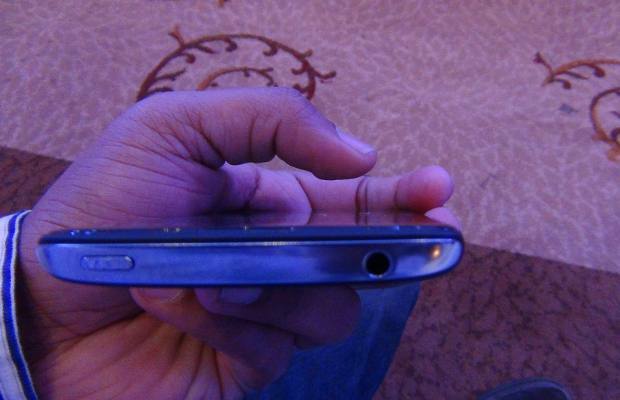 The picture quality of the rear 8 Megapixel camera was good under standard lighting condition at the event and the front facing 1.3 Megapixel camera’s image was also decent for video calling. The camera is capable of shooting full HD 1080p videos @30fps and also plays full HD 1080p videos without any rendering problem. 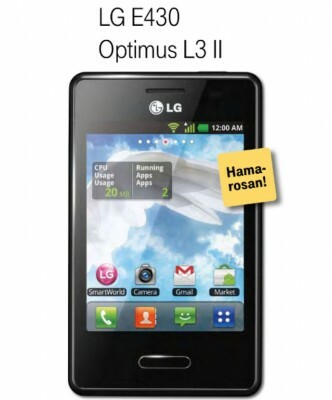 There are other connectivity functionality like 3G HSPA+ 21 Mbps, Wi-Fi 802.11 b/g/n, Bluetooth 2.1 + EDR, GPS / A GPS. There is a powerful non-removable 1900 mAh battery under its hood that can provide surprisingly 9.5 hrs long talk time on both 3G and GSM network, as claimed by the company officials. Company has also conveyed that X1000 will be capable of giving 14 days of standby time and claimed the device can play 38 hrs of music via headphone or HD 1080p videos of 6 hrs. Xolo X1000 is priced at INR 19,999/- and the device is already listed for pre-orders on Flipkart and will be available from March 21st at that same price. After that the device will be available widely for the mass. The company is claiming at this price, it is better than Samsung Galaxy S3 and HTC One X.
Xolo also has planned to launch its new Quad Core powered Android smartphone variants in the coming quarter dubbed as QCORE series. 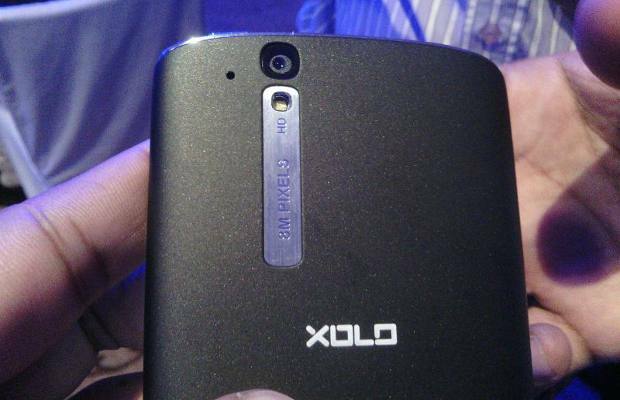 Report says, Xolo is expected to bring at least four Quad Core handsets out of the box by April 2013.